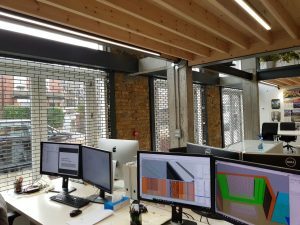 Shutterepairs team installed grill roller shutters in west London in a beautiful architect office. The grills were specially designed to suit office climate . We proud to present this type of high level work . Where you can see the hard work of our team .